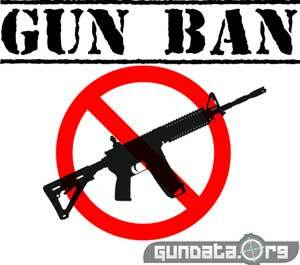 There has been much debate, and it looks like the Assault Weapons are going to be pulled from the current ban bill. They are going after magazines, and background checks. Related News Obama Signs 23 Executive Orders! Contact Your Senator and Tell Them What You Think! Read old post info below. Not sure when a gun bill will voted upon. Will try and keep you updated. Check out Obama Signs 23 Executive Orders! On December 27th of 2012 California Senator Dianne Feinstein released the summary of her controversial New Gun-Ban Bill for 2013. This bill is to be submitted to congress on January 3rd, 2013 and includes even harsher restrictions than the 1994 ban. The law would move from the 2 charicteristic 1994' test to just 1 charicteristic. In short while the 1994 ban allowed for a modified 10 rnd mag, and a pistol grip. The 2013 law would automatically make the this type rifle illegal due to the 1 pistol grip charicteristic. You can relax a little as Grandfathering of weapons is allowed, however it is not clear as to what if any transfer of these weapons can occur. Can you transfer them to your children upon death? Can you sell them to a pawn shop? Can you sell them to friends? All AR types, including the following: AR-10, AR-15, Armalite M15 22LR Carbine, Armalite M15-T, Barrett REC7, Beretta AR-70, Bushmaster ACR, Bushmaster Carbon 15, Bushmaster MOE series, Bushmaster XM15, Colt Match Target Rifles, DoubleStar AR rifles, DPMS Tactical Rifles, Heckler & Koch MR556, Olympic Arms, Remington R-15 rifles, Rock River Arms LAR-15, Sig Sauer SIG516 rifles, Smith & Wesson M&P15 Rifles, Stag Arms AR rifles, Sturm, Ruger & Co. SR556 rifles; Barrett M107A1; Barrett M82A1; BerettaCX4 Storm; Calico Liberty Series; CETME Sporter; Daewoo K-1, K-2, Max 1, Max 2, AR 100, and AR 110C; Fabrique Nationale/FN Herstal FAL, LAR, 22 FNC, 308 Match, L1A1 Sporter, PS90, SCAR, and FS2000; Feather Industries AT-9; Galil Model AR and Model ARM; Hi-Point Carbine; HK-91, HK-93, HK-94, HK-PSG-1 and HK USC; Kel-Tec Sub-2000, SU-16 and RFB; SIG AMT, SIG PE-57, Sig Sauer, SG 550, and Sig Sauer SG 551; Springfield Armory SAR-48; Steyr AUG; Sturm, Ruger Mini-14 Tactical Rife M-14/20CF; All Thompson rifles, including the following: Thompson M1SB, Thompson T11000D, Thompson T150D, Thompson T1B, Thompson T1B100D, Thompson T1B50D, Thompson T1BSB, Thompson T1-C, Thompson T1D, Thompson T1SB, Thompson T5, Thompson T5100D, Thompson TM1, Thompson TM1C, UMAREX UZI Rifle, UZI Mini Carbine, AZI Model A Carbine, and UZI Model B Carbine; Valmet M62S, M71S, and M78; Vector Arms UZI Type; Weaver Arms Nighthawk; Wikinson Arms Linda Carbine. All UZI types, including: Micro-UZI. All IZHMASH Saiga 12 types, including the following: IZHMASH Saiga 12, IZHMASH Saiga 12S, IZHMASH Saiga 12S EXP-01, IZMASH Saiga 12K, IZHMASH Saiga 12-K-030, IZHMASH Saiga 12K-040 Taktika, Streetsweeper, Striker 12. All belt-fed semiautomatic firearms including TNW M2HB.